Aspose.Words component enables reading, editing and printing of Word documents and converting of Word document to other formats, without using of Microsoft Office Automation. By using of Aspose.Words instead of Microsoft Office Automation we get faster, more secure, stable and scalable solution. In this article, I will explain how to extract all email addresses and other valuable information from selected Word document. 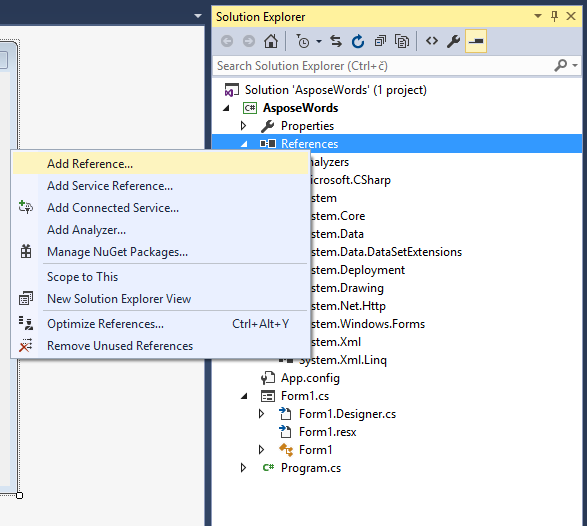 Please download sample Visual Studio 2015 project, used in this article from AsposeWords Get Emails From Word Example. Zip package also contains sample SampleDocWithEmails.docx Word document you can use to test the project. The idea of project is pretty simple: User will first click on Select Document button to find Word document. 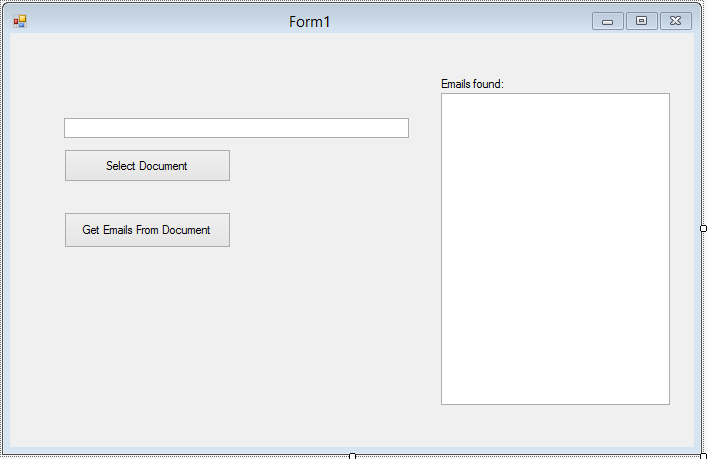 Then, click on “Get Emails From Document” button should read the document, extract email addresses and show result in Emails found text box on the right side. DialogResult result = docDialog.ShowDialog(); // Show the dialog. And that’s all! The project is ready to test now. Start the project and find some Word document on disk, or use sample SampleDocWithEmails.docx file. Click on Get Emails button will find all email addresses in document and display them in text box on the right side. As you can see, with help of Aspose.Words component, reading and extracting data from Word document is incredibly easy and fast process. You can use this approach to get any other kind of valuable information from single document like URLs, phone numbers and any other formatted data. As an exercise you can try to change project code to process all documents in selected folder. 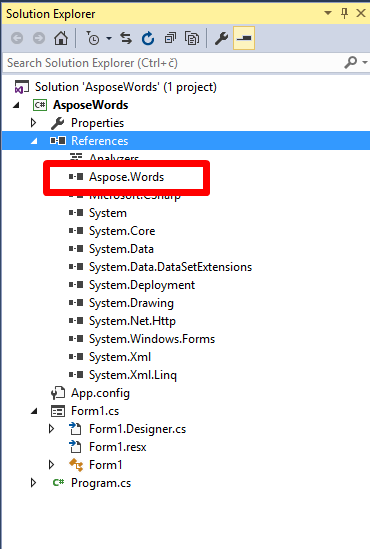 Aspose.Words.Document is main class which represents Word document. It contains over a hundred of properties and methods which can be used to read and manipulate Word document in any possible way. This entry was posted in C#, Uncategorized and tagged Aspose.Words, C# on May 11, 2016 by Boris.